Our catalog of industrial hand soap comes in several forms, including liquid, gel, cream, and solid, so you’re sure to find just what you’re looking for. Some of these items also don’t require water to work, which is especially convenient on warehouse floors or other areas where water isn’t nearby. You’ll even find ADA Compliant industrial hand soap dispensers that allow you to accommodate employees with disabilities. 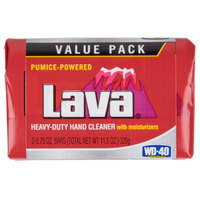 Also make sure to check out other great items from GOJO, Kutol and Lava. We sell soap dispensers that are NSF Listed, too, which means they’re easy to clean and properly maintain. All of these products are also affordably priced, so you’ll have no trouble purchasing everything you need without exceeding your budget. 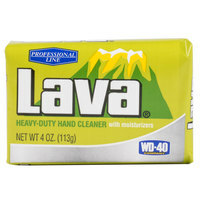 No matter what kind of business you own, heavy-duty hand soap is a smart investment that will keep employees’ hands clean and sanitized. For related products, check out our mechanical chemicals, strip doors, and pest control products. 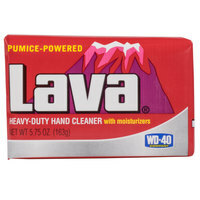 If you're wondering where to buy lava pumice hand soap and heavy-duty soap dispensers, we have a large selection of lava pumice hand soap and heavy-duty soap dispensers for sale at the lowest prices.